However, the midterm elections in the U.S. illustrate that voters obviously don’t care about scientific facts, nor do some some senators and congressmen recently elected. Bill Maher shows examples of several candidates‘ statements on climate change and election results on HBO Real Time on November 7th, 2014. 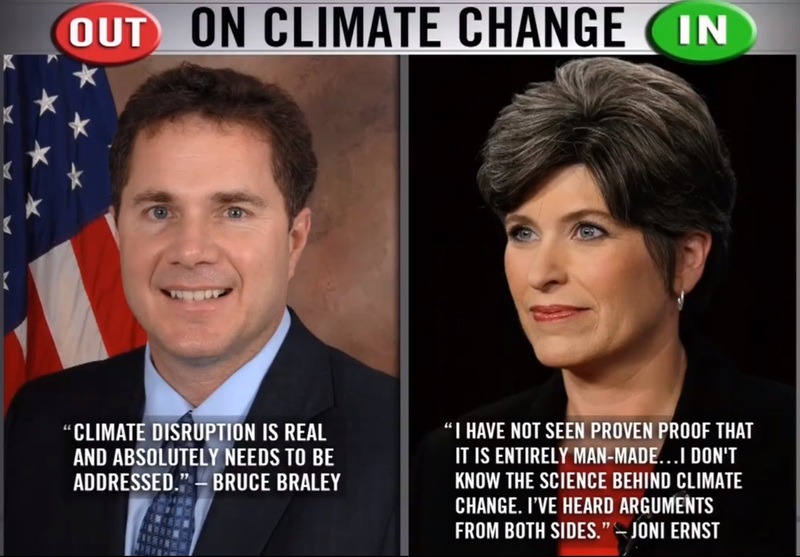 For instance Bruce Braley from Iowa who stated that „climate disruption is real and absolutely needs to be addressed“ is now out of office, while Joni Ernst saying „I have not seen proven proof (sic!) that it is entirely man-made…“ took over Braley’s place. Five years after the climate summit in Copenhagen the electoral shift towards a republican majority in the U.S. parliament and senate, the series of actions to reduce carbon pollution as President Obama announced in his speech a year ago at the United Nations, seem to be doubtful.